Imagine now human life is boring in contrast of wild owl survival! Explore beautiful locations from a bird of prey eye view! Try convenient controls, fly like a real wild owl. 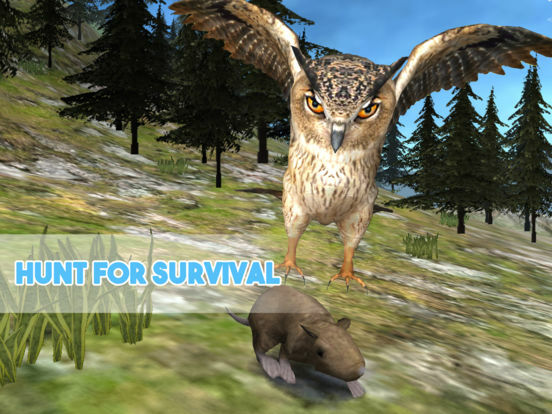 Become the most powerful bird of prey in the survival simulator and challenge friends. Can they complete all owl survival missions in the simulator? Try how to be a bird, get a big bird of prey family. 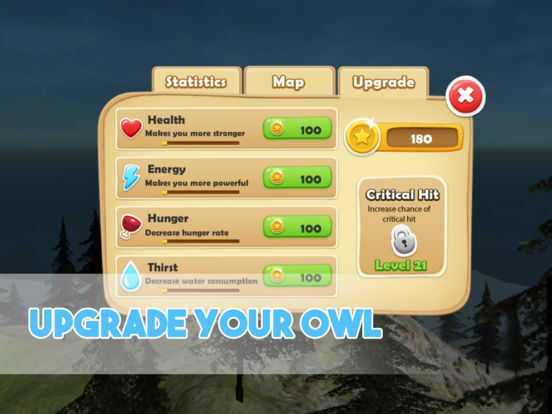 Hunt for any bird or wild animal, levelup your owl and improve your survival skills! 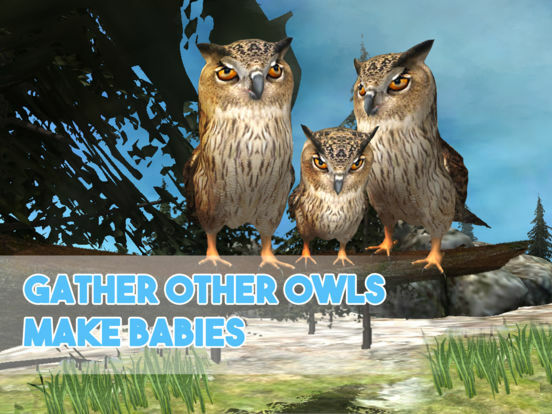 Fly like a bird of prey in wild owl survival simulator! Hunt for birds and animals, live the life of the owl. Play bird of prey quests or survival mode. It is up to you - beat other wild owl or invite it to your bird of prey family. Meet other owl, breed a new bird. Survival in the simulator is hard - so, maintain your energy - and explore the wild world as a bird of prey with our owl survival simulator. Real bird of prey sounds and simulator's controls deep you into the simulator's survival atmosphere. Be a wild bird of prey! Forget about other creatures and be an owl. If you like bird of prey survival simulator games - Forest Owl Simulator is for you. Fly many hours to explore all places! Try survival in the sky, it is great. Attack other wild animals, be a real bird of prey. Attention - it is not easy to be a wild bird in the simulator. Choose what to do in the simulator, but be ready for challenge! Start your bird of prey life now, have your own owl. Write us! Help us to make the best owl simulator. It is a great simulator for bird of prey lovers! 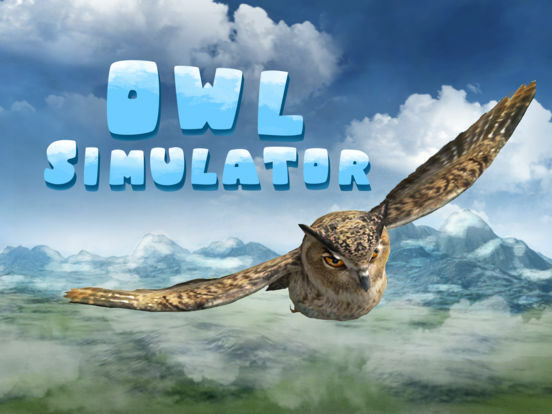 Try Forest Owl Simulator right now, spend your evening in the sky!